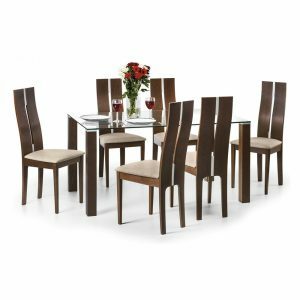 This Kerry Dining Set has a contemporary chrome and glass finish that is perfect for your dining room or as a modern kitchen diner. 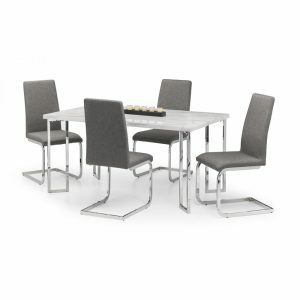 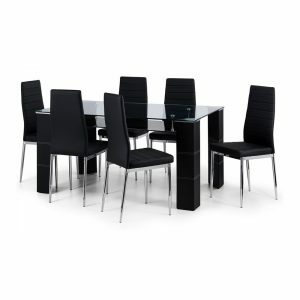 The pedestal table is easy to pick up and move around the room and it can comfortably seat 4 people. 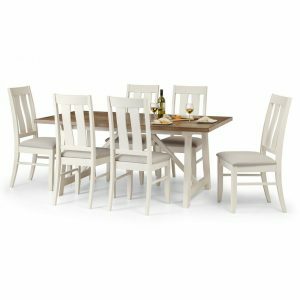 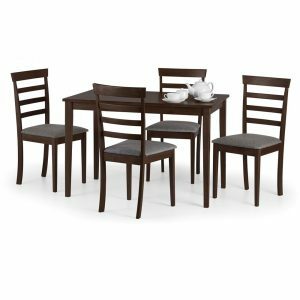 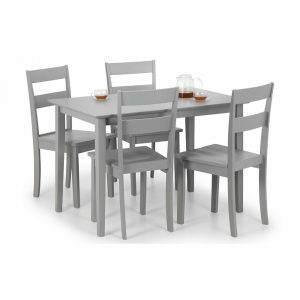 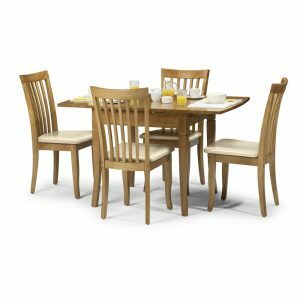 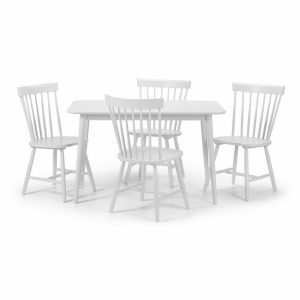 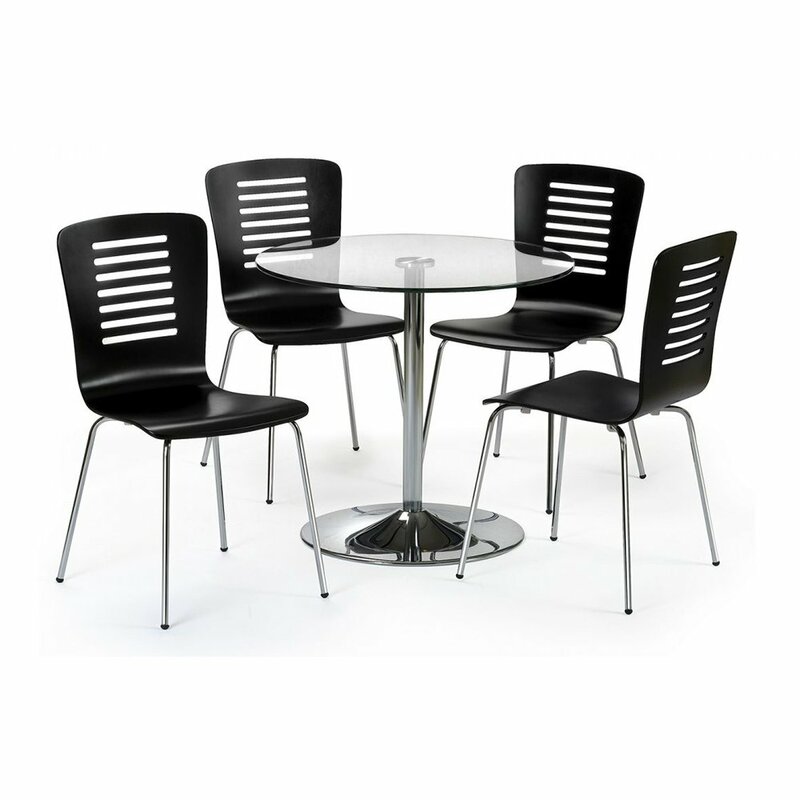 Accompanied by four back Kerry chairs crafted from laquered plywood and chrome plated steel, this dining set will look stunning with almost any decor.